BBC NEWS | UK | UK Politics | Clarke: Defeated by Home Office? Clarke: Defeated by Home Office? 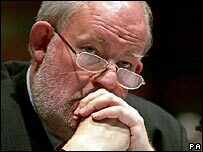 Charles Clarke, who has been removed as home secretary, came up through the toughest political school but, in the end, his in-built resilience was not enough to save him. And it was probably the notoriously difficult Home Office brief, rather than any lack of political skills or talent, that did for him - as it has challenged previous holders of his post. He may have succeeded in pushing through controversial anti-terror laws and, before that as education secretary, reforms to higher education. But he was already facing a difficult period over the government's proposals for ID cards, a policy that will now fall to his successor, and the prisoners row saw claims he would no longer have the credibility to complete that task. Of all the ministers on Tony Blair's front bench, it is those who served as close aides of Neil Kinnock who have the strongest armour of bitter experience to protect them in difficult times. Mr Clarke and, ironically, his colleague, Health Secretary Patricia Hewitt, both worked for the former Labour leader when the party was going through some of its most turbulent and traumatic times in opposition in the 1980s. 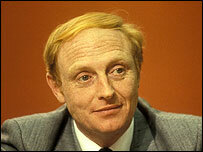 As Lord Kinnock attempted to transform the party - a task that paved the way for Tony Blair and his final creation of New Labour - he was subjected to a comprehensive rubbishing campaign by sections of the media. He and his aides, including Mr Clarke, were battling members of their own party, the Tories and those press enemies - and it made them extra resilient to the daily batterings that are part of politics. That blooding made Mr Clarke obvious frontbench material and, in many ways, his tough, no-nonsense character also made him a likely candidate to take on the Home Office. But, in the end, it defeated him and where he goes now is not easy to predict. He has been a loyal friend to Tony Blair, although it would be a mistake to simply lump him in with other obvious "New" Labour ministers. He is certainly a moderniser and did his best to defeat the hard-left in the Labour Party. But he would probably describe himself as coming from the more traditional wing. He is no supporter of the Chancellor, Gordon Brown, and has been among those insisting there should be a leadership contest when Tony Blair stands down. He had even been talked of as a possible contender himself, although he has always been eager to play down that sort of speculation. It is highly unlikely Mr Brown would offer him a place on his front bench, although some believe it would be a smart move, despite their past differences, to keep such a figure alongside him. What is likely, however, is that, with the prime minister set to stand down before the next election, it is far too early to write off Mr Clarke's political career. Not only is he well-liked and respected by MPs across the chamber, but by many political journalists who warm to his frankness - despite recent, and in retrospect, badly timed attacks on them. And, at 56, he is still young enough to be looking for a possible return to frontline politics in the future.